The Microlight Jacket is a light-weight, weather-resistant down jacket, designed for fast-and-light use in situations where warmth, weight and packability are prime concernsThe latest variation of the Microlight Jacket features an improved fit and increased packability with the addition of a separate stuff sack. 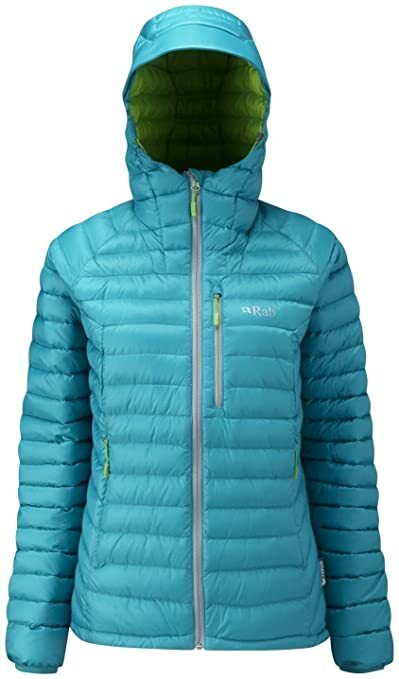 The Womens Microlight Alpine Jacket is a light-weight, weather-resistant down jacket, designed for use in situations where warmth, weight and packability are prime concerns. 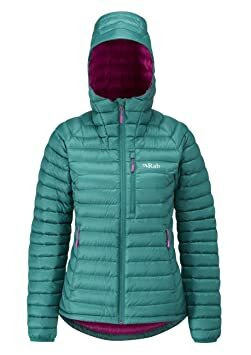 The Womens Microlight Alpine Jacket is one of our signature pieces, with a moulded polymer peaked hood, elasticated cuffs and a separate stuff sac. 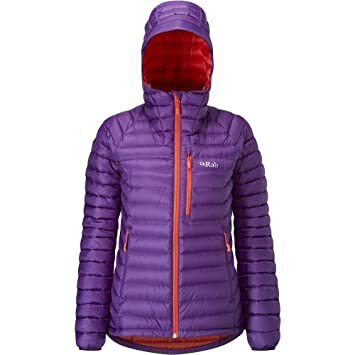 A mini stitch-through baffle construction and a minimal, uncluttered design make the Womens Microlight Alpine Jacket a perfect layering piece for alpine climbers, or an adaptable stand-alone jacket for day-to-day use. The Microlight Alpine Jacket is a lightweight, narrow baffled down jacket with a weather resistant Pertex outer fabric. The Microlight Alpine Jacket is an alpinist’s dream! Providing 140g (Large) of 750 fill Hydrophobic European goose down, all wrapped up in a streamlined package that provides maximum warmth for minimal weight. The clean lines and uncluttered, minimalist design make it ideal as a layering piece for climbing or for mountain marathons – but this adaptable piece is equally at home for day to day use or for lightweight back-packing. 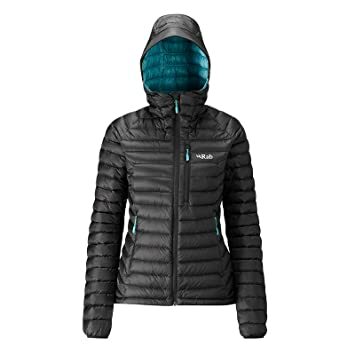 The narrow baffle structure minimizes down migration and provides optimum loft and a fixed hood makes this jacket the perfect choice when warmth, weight and packability are prime concerns. The Microlight Alpine Jacket is a light-weight, weather-resistant down jacket, designed for use in situations where warmth, weight and packability are prime concerns. A mini stitch-through baffle construction and a minimal, uncluttered design make the Microlight Alpine Jacket a perfect layering piece for alpine climbers, or an adaptable stand-alone jacket for day-to-day use. 143g (large) of 750FP Hydrophobic Goose Down provides exceptional levels of warmth without compromising on weight. A Pertex Microlight outer fabric helps to keep the warmth in and is both breathable and windproof. 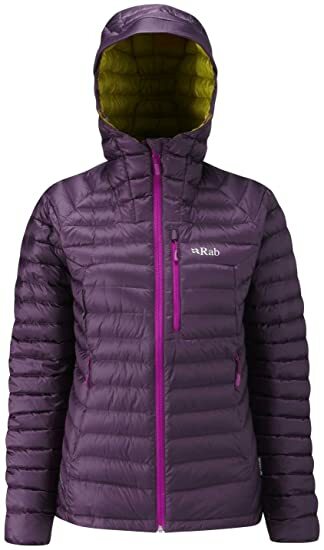 Key technical features include a down-filled hood and YKK zipped pockets throughout. The Microlight Jacket is a light-weight, weather-resistant down jacket, designed for fast-and-light use in alpine environments or in situations where warmth, weight and packability are prime concerns. A mini stitch-through baffle construction and a minimal, uncluttered design make the Microlight Jacket a perfect layering piece for alpine climbers, or an adaptable stand-alone jacket for day-to-day use. 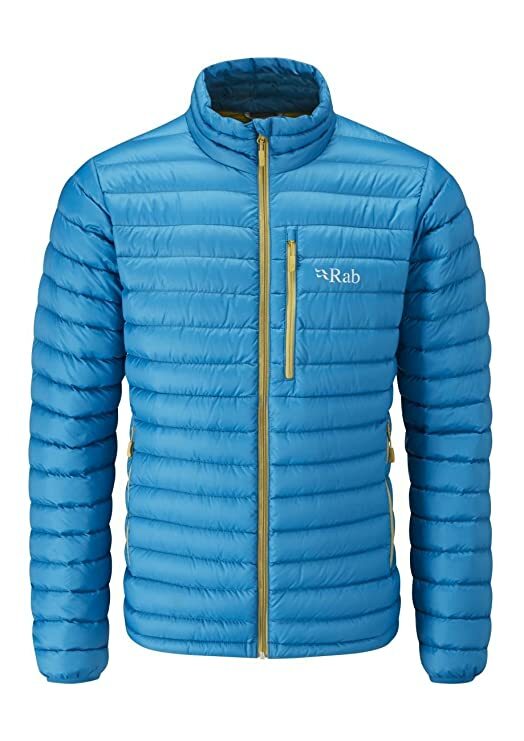 125g (Large) of 750FP Hydrophobic Down provides excellent warmth without compromising on weight, and is protected by a breathable and windproof Pertex Microlight outer fabric. The Microlight Jacket features YKK zipped pockets throughout, including an integrated stuff sack, and Lycra bound cuffs for secure layering use.